The Omen is coming to the small screen in the form of Damien, the same young by that the first movie centered off of. Now an adult and haunted by his past, Damien is faced with a series of macabre events and must finally face his true destiny: He is the Antichrist. But the world isn't so black and white, and destiny isn't set in stone. Basically ignoring the other Omen sequels Damien will bring a new chapter to the Omen. Glen Mazzara talks about who Damien is, and what brought him to the project. It's been moved to a new network (from Lifetime) but that's for the better. Bradley James talks about his projects that have lead him here, and how everyone thought he'd be the perfect Antichrist. Scott Wilson surprised just about everyone when he showed up for the press room, and was very happy to be working with the lovely Barbara Hershey and Glen Mazzara again. Barbara opened up a little about her character, who may not have the best of intentions. 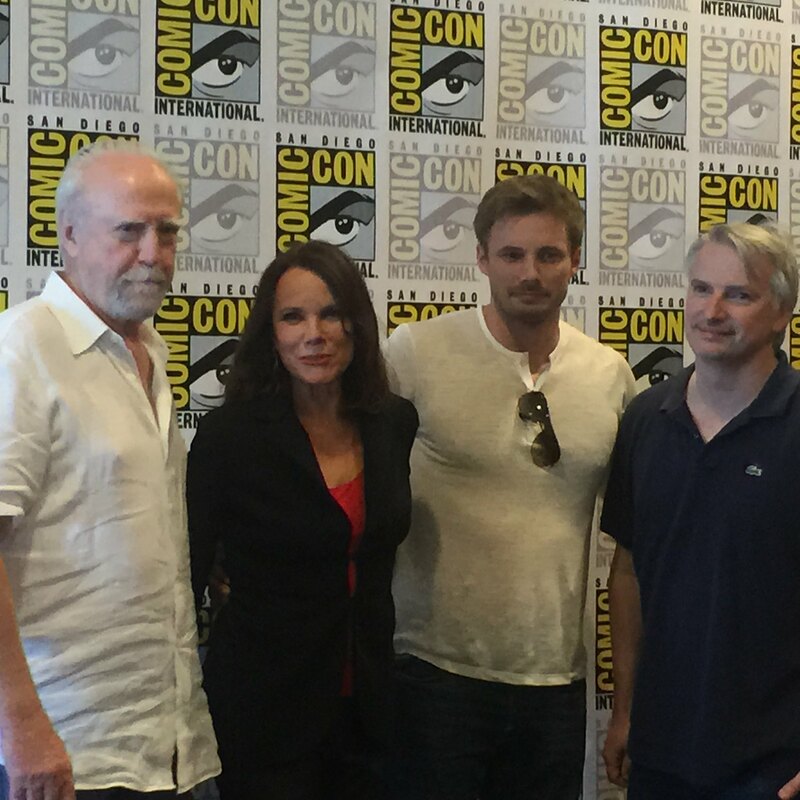 Damien will air on Lifetime early 2016.